Welcome to Anthony Walton’s fincas o casas. 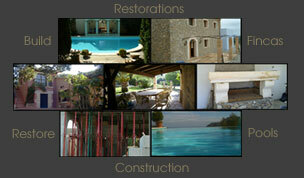 Here you can find your dream property in Majorca... For Holiday... For Rent... Forever. After helping people build their dreams in Majorca for the past 20 years and after receiving innumerable requests for help with finding a property, Anthony Walton created Fincas o Casas as your customized property service. Our aim is to connect you with your dream property in Majorca, no matter what your preferences may be. Throughout this website, you can view the properties we currently have available. New ones are added constantly and if you’d like us to list your property here, simply contact us and we’ll take care of it. Should you need work on a property you own to make it better, Anthony Walton’s Construcciones can build, restore, or expand to your specifications. Thank you for your visit. We’re anxious to help you find your dream property in Majorca.